CQuasar Data Center is happy to announce a strategic partnership with TechnoCycle. Last week, a colleague and I had the privilege to take a tour of TechnoCycle’s Houston technology recycling center. We were amazed at what this company has accomplished. To say that we were impressed would be an understatement! If your a geek like me, who goes through technology, it will fascinate you. Their operation is certified and accountable in a way that sets standards in the recycling process business. This company is one of the most efficient at recycling technology and re-purposing anything from old tech that can be used or rebuilt. I’ve included their video that gives you a good overview of their purpose and mission but seeing it first hand was even better. For an IT Services and Cloud company like Quasar Data Center, this is a natural fit. Many of our clients are moving away from buying servers and/or desktops to Cloud based systems. This gives them a way to capture some capital from their old hardware investments that most companies just throw away. They can also properly and safely clean or shred old hard drives that contain sensitive company information. This insures data integrity for CTO’s and CIO’s who are concerned about proper data disposal. If you or your company has old computers, servers, phone systems, TV’s, etc., this is the place to send them. They will create a customized plan for your individual company needs and pickup your old tech. It then goes to the Houston location we toured for processing. Everything is scanned, labeled and sorted. Depending on what it is , it will be disassembled, tested and/or used as parts to build refurbished systems. Any waste is sorted and recycled to a proper recycling vendor. 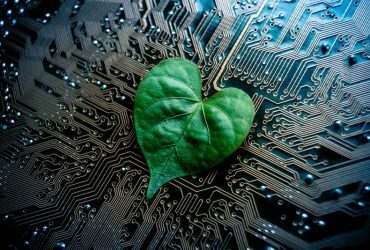 What this company does is great for the environment, provides refurbished parts and discounted systems to resellers, businesses and individuals who don’t mind spending less on a slightly older, refurbished and tested systems.